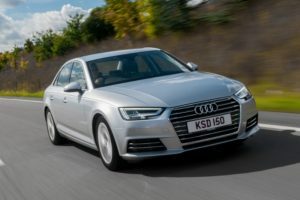 Audi’s range updates see the A4 get leather heated seats from the Sport trim upwards. Audi is introducing a range of revisions across its line-up in a move to enhance “consistency and simplicity”. Announced today at the ACFO Spring Seminar, the move sees all cars gain cruise control and rear parking sensors as standard. In addition, all models – bar the A1 and Q2 – are upgraded with the auto dimming mirror, which is a key requirement for many option packs. Other changes see the A4 get leather heated seats from the Sport trim upwards, while S line gets leather/alcantara. There’s also a new Black Edition. Audi has also announced that the Tech, Comfort and Sound packs will have consistent pricing across the range. The number of used cars sold in the UK hit a new record in Q1 2017. 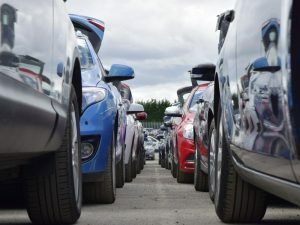 Latest figures from the Society of Motor Manufacturers and Traders (SMMT) show 2.1 million used cars were sold in the first three months of the year; a 3.4% rise on 2016 and the highest Q1 on record. Growth seen across the diesel, petrol and electric/hybrid segments, which were up 5.6%, 1.6% and 43.2% respectively. The supermini segment continued to be the most popular, accounting for more than a third of the used car market, however, the mini segment was the fastest growing – with sales up 13.2%. White cars saw the biggest growth, up 17.1%, with used car sales echoing trends seen in the new car market in recent years. Although silver remained the best-selling colour at 463,959 sales, figures show its popularity may be fading with sales declining -2.1%. FleetCheck says fleets that don’t put systems in place to ensure vehicles are maintained are leaving themselves open to prosecution. Fleets leasing cars and vans with an inclusive maintenance package need to put robust systems in place to ensure the work is actually being carried out. 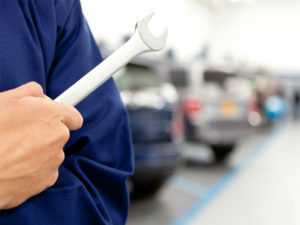 The warning comes from fleet software specialist FleetCheck, which says that it’s increasingly coming across fleets, in particular SMEs, where leasing companies and employers assume that drivers are correctly carrying out maintenance without realising that drivers are often waiting to be prompted and sometimes even ignoring service reminders. nce 2 May, more than 60 EV charge oints across the UK have been registered for the Chargie service. 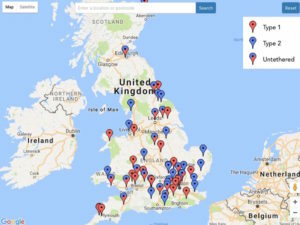 A new EV charging service that enables drivers to use domestic, wall-mounted chargepoints of other members has gone live in the UK with over 60 chargepoints on its books. 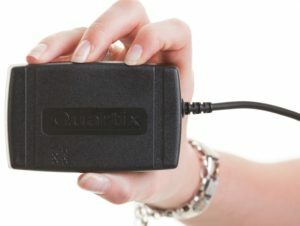 The Chargie service is based on the Airbnb concept for hospitality, with homeowners able to register their charge points to make extra money and help other EV drivers. However, the firm says it’s also had a very positive response from B&B and hotel owners, who regard bookable charging as an added attraction at their locations. The company also say it’s looking into international expansion in response to driver requests. Quartix has been listed in the London Stock Exchange Group’s ‘1000 Companies to Inspire Britain’ report for the third year in succession. Quartix has been identified as one of London Stock Exchange Group’s 1000 Companies to Inspire Britain for the third consecutive year. Most OEMs expect to be selling fully self-driving vehicles between 2020 and 2025, if not sooner. Carmaker revenues from collision parts could drop by nearly 50% by 2020 following the introduction of autonomous vehicles. The research, published by the KPMG U.S. Manufacturing Institute Automotive Center, suggests OEMs can expect a 4 to 9% reduction in operating profits by 2030 and a reduction of 13% by 2040 as a result of the advances autonomous vehicles are expected to bring by reducing driver error and lowering accident rates.